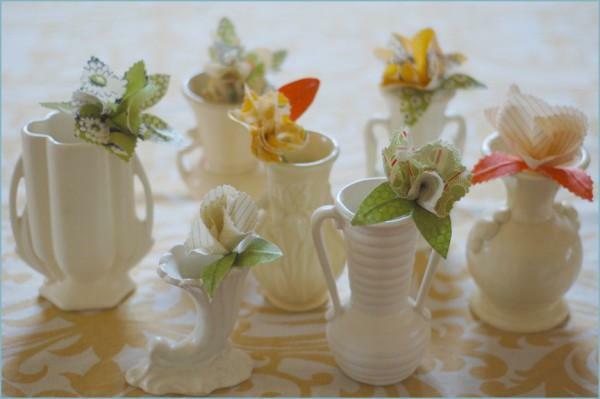 We love crafts at Dots and thought you crafty brides might try your hand at making some of the lovely crafts we find all over the web. This tutorial is from the indie-wedding blog Once Wed. Pop over for more crafty goodness and handmade wedding photos. Thursday is usually catch up day for all my errands because I know without a doubt I will always have a fabulous post waiting in my inbox from the incredibly talented, Laurie Cinotto. 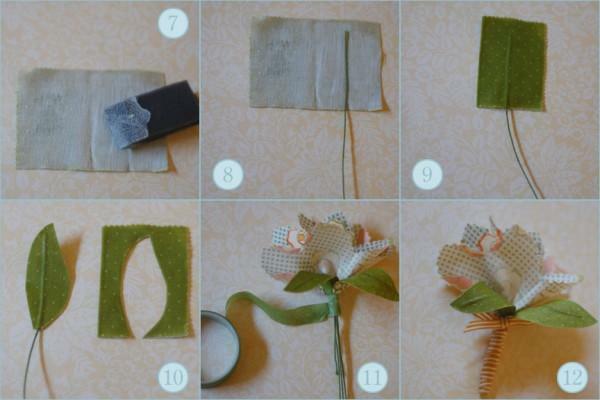 This week’s DIY tutorial is a twist on fresh flower boutonnieres and from the instructions below seems like a pretty easy and inexpensive, diy wedding project to tackle. Enjoy! Resources: The fabrics used are from the Moda “Recess” fabric pack of 5″ squares. Fabric coated wire can be found in the floral section of your craft store. Mod Podge is in the glue section of craft stores. 1. Begin by cutting a 5″ square of cotton fabric. 3. Fold in half again to make a triangle (see figure 3) and then fold in half again. (It’s just like your folding a snowflake). 7. 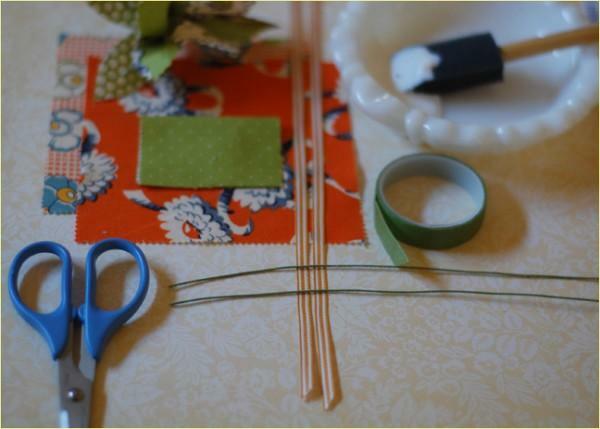 Cut a rectangle of fabric approximately 3″ x 2″ Lay it pattern side down on your work surface. 10. 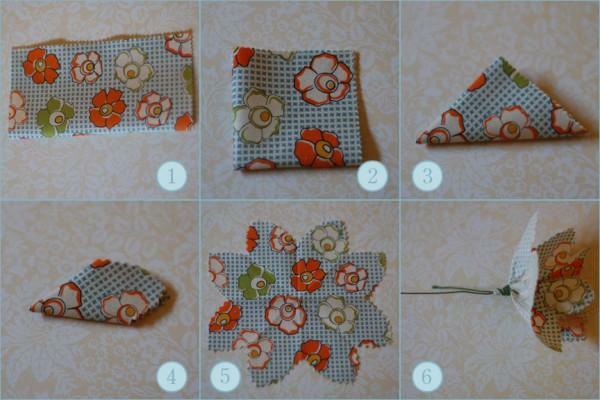 Fold the rectangle in half with the wire centered inside, (see figure 9) smooth out the fabric. Apply a coat of Mod Podge on the outside surface. 11. Allow to dry completely. 12. Cut out a leaf shape, keeping the wire in the center, like a leaf vein. 14. Use your wire cutters to trim the wires so the “stem” is about two inches long. 15. Cut an 18″ piece of ribbon, wrap it around the stem and tie off with a bow. 16. Fluff open your petals and curl your leaves downward. 17. Use a boutonniere pin to attach to a lapel. Ribbon – $.80 a yard.